There are two weekly skin-care practices that make me feel pampered and relaxed: exfoliating and masking. And beyond just the relaxation aspect, which is a huge benefit for a busy mom, my skin always looks healthier and more radiant when I’m routinely using these products. There are some great masks and exfoliators on the market, ranging from just a few dollars to over a hundred dollars for a 4 ounce tube or bottle. 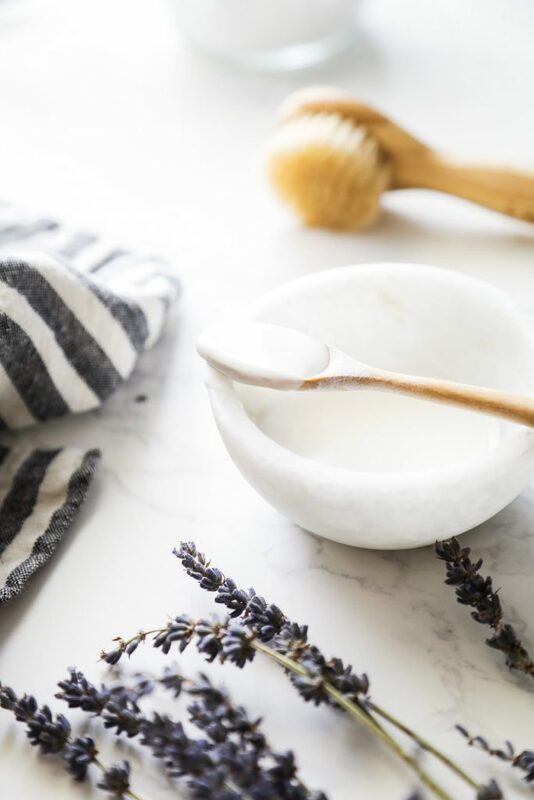 I shared a few of my favorite store-bought options in my body care book. If you like to save money, and enjoy the art of making something, then making your own masks and/or exfoliators is the way to go. 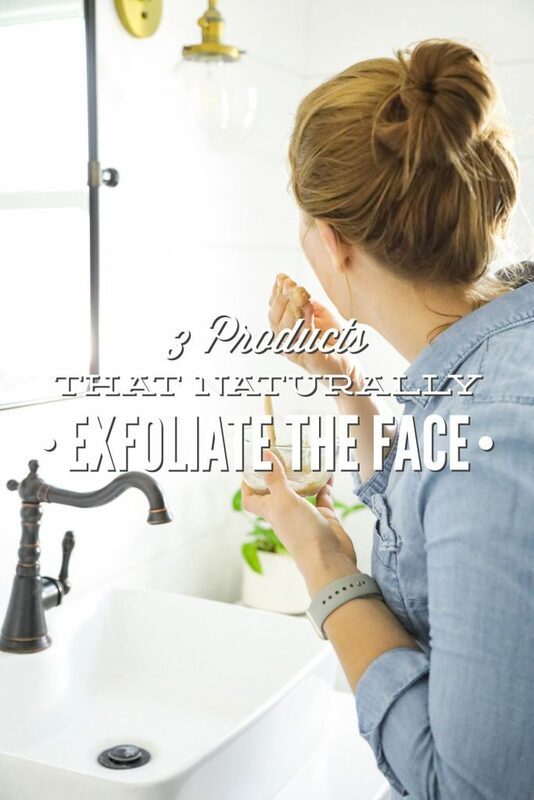 Today, let’s talk about making a homemade exfoliator. 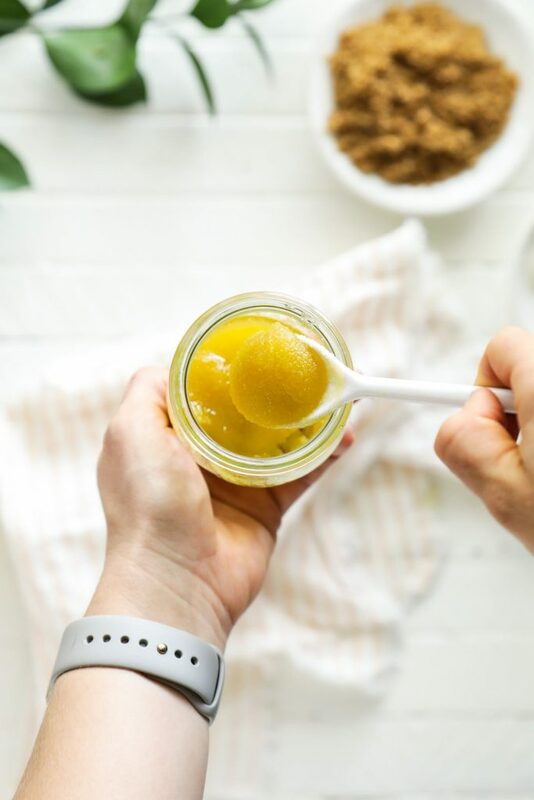 I’ve rounded up my favorite homemade exfoliators, all of which cost just a few cents to make and can be made in under 5 minutes. I like to exfoliate my face once a week, in the morning. Occasionally, I’ll use an exfoliator twice a week when my skin is feeling meh. Exfoliation helps to remove dead skin cells, which, when left on the skin, can block pores and cause skin to look dry and dull. I also like to mask once or twice a week. Both of these practices make a big difference in the overall condition of my skin. This scrub may be used on the entire body, including the face and lips. For this reason, I like to use this scrub in the shower. The sugar sloughs off dead skin cells and gets the blood flowing to the skin. Sugar also naturally hydrates the skin. 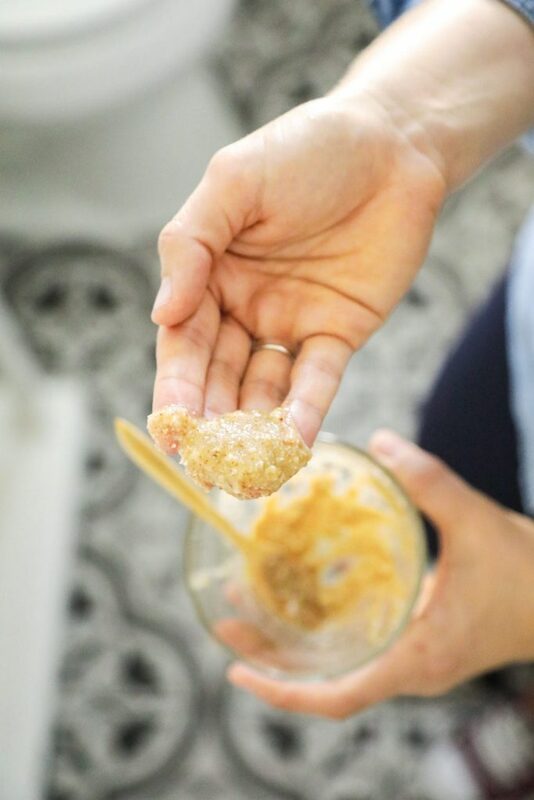 It’s important to use a very fine sugar when making this exfoliator. This scrub may be too abrasive for acne-prone or sensitive facial skin (see the next two options for a better fit). This exfoliator was inspired by S.W. Basics. The ground oats, ground almonds, and mineral-rich salt gently remove dead skin cells. The final product is incredibly gentle on the skin, making it an ideal facial exfoliator even for more sensitive skin. Baking soda may be used as a gentle exfoliant on the face. 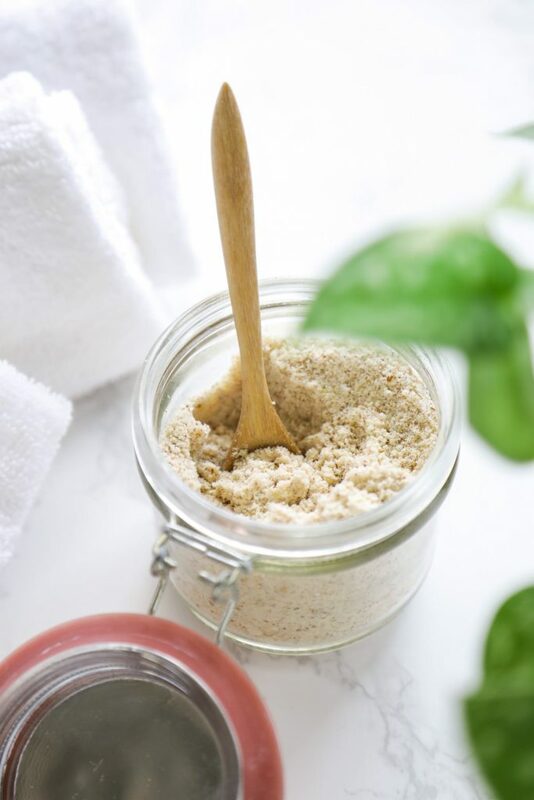 Just like with the oat exfoliator, the powder must be mixed with a liquid to create a paste before applying it to the face. For a liquid, I prefer milk (cow’s milk or coconut milk) or water (or rose hydrosol).